Maternity care is disappearing from America’s rural counties, and for the 18 million women of reproductive age living in those areas, pregnancy and childbirth are becoming more complicated — and more dangerous. That’s the upshot of a new report from the Rural Health Research Center at the University of Minnesota that examined obstetric services in the nation’s 1,984 rural counties over a 10-year period. 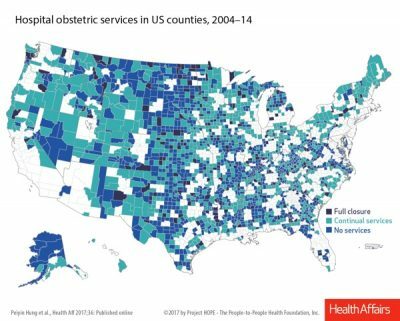 In 2004, 45 percent of rural counties had no hospitals with obstetric services; by 2014, that figure had jumped to 54 percent. The decline was greatest in heavily black counties and in states with the strictest eligibility rules for Medicaid. You and your colleagues have been looking at maternal health issues for several years. What’s the most surprising part of this new study? I was surprised about the findings on race. Being aware of structural racism in U.S. health care, I shouldn’t have been. But we found that hospitals are more likely to close their doors entirely or close their obstetric units in communities that have more black residents. Rural black communities also experience some of the poorest birth outcomes in the country, especially in the Southeast. I think [the race findings] are new and really important. In all the discussions I've had around maternity care access, I think there's often a false association of “rural” with white communities and with farming, but that doesn't represent the demographic reality of rural America, which is very diverse. There are 10 million people of color in rural America, that’s about 20 percent of all rural Americans. What has led to the decline in rural obstetric services more broadly over this 10-year period? We didn’t choose this period because we thought it was particularly unique. We chose it because it was the most recent decade of data we could get. That said, this was a period when there was a substantial shift in the health care delivery system. The debates around Obamacare, the implementation, the threats to repeal — all that really created instability with respect to what hospitals and clinicians were expecting around payments. And the role of finances is key. If hospitals want to offer obstetric services, they need to be ready for a baby to be born at any time — they need to have a bed available, the equipment available for mom and for baby, clinicians and staff available that have the necessary skills. That's a substantial expense. If a hospital’s revenues are limited because it has a low volume of births — as many rural hospitals do — or if revenues are unpredictable, that creates a really difficult administrative problem. How does Medicaid play into this? Medicaid funds about half of all births in the United States, and an even greater percentage of births in rural hospitals. Medicaid funding for births is incredibly important and it’s one factor in hospitals’ decisions around whether to keep obstetric services. We found that rural counties in states with more generous Medicaid programs — with higher income eligibility limits for pregnant women — were less likely to lose hospital-based obstetric services. Meanwhile, there’s talk of allowing states to impose new rules that could restrict access to Medicaid. Changes to the financing of Medicaid would likely have big negative effects on the availability of obstetric services in rural areas. Based on our study, the generosity of a state’s Medicaid program seems directly linked to access to maternity care in rural counties. As such, any new reductions or restrictions on Medicaid funding or services may affect rural hospital financing. What is it like to be pregnant in a rural area that doesn’t have adequate maternity care? What do women do? 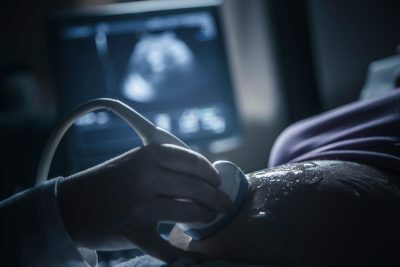 For some women, there may be a nearby clinic or their general practitioner may be able to see them for prenatal visits if they have a low-risk pregnancy. But then they need to give birth in a more distant area with a different set of providers. That may not even be a choice for women who live in communities that don't have any providers that see pregnant patients, or for women that have higher risk complications that require more specialized care. I remember talking to one woman who lived in rural northern Minnesota and who had a preterm birth with her first pregnancy. For her second pregnancy, she had to drive two hours to the nearest hospital with a high-risk obstetrician. With one child at home already, and a full-time job and a partner who worked, it was almost untenable. It would take a whole day for her to drop her child off at daycare, drive all the way to the hospital, wait for a 15-minute visit that felt rushed, then drive all the way back. I just heard on the radio this morning that a truck ran into a railroad bridge that goes over the highway that this woman would take to go back and forth to the hospital. So if she was pregnant right now, there's a 27-mile detour on three dirt roads to get around this broken bridge. That adds probably another 45 minutes to an already two-hour drive. Things like that can happen, you know, all the time. What about giving birth? How does living in a remote area affect the kinds of choices doctors and women make? In a typical childbirth education class in an urban area, childbirth educators say things like, “Go to the hospital when your contractions are five minutes apart.” None of that makes any sense in a rural context where women give birth far from home. Anecdotally, I hear a lot about labor induction. The rural physicians I’ve talked to are like, “I can't believe I am trying to talk patients into having an induction.” They believe in letting labor start naturally, but given the long drive, induction is often better for patients clinically. So that if complications come up, someone’s there, monitoring your blood pressure and vital signs. It’s not, you know, your partner or friend desperately driving down dirt roads as fast as they can while you yell in the back seat. 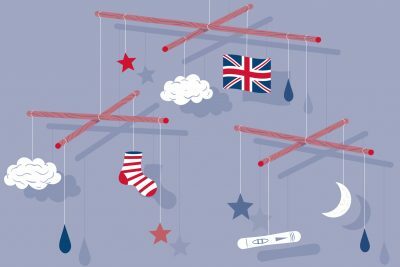 How does all this affect outcomes for babies? We have good information from Canada that the women who have to drive long distances to give birth have higher rates of the babies being in the neonatal intensive care unit, and even of infant mortality. And so we know that distance is associated with outcomes of care. When rural hospitals close the doors of their maternity units, women have to drive longer distances. These seem like pretty huge hurdles for rural mothers and babies. Is there any way to address these problems to improve maternity care? One idea is programs to support pregnant women and families, especially with respect to their housing and transportation needs when they live far away from where they're going to give birth. Alaska has actually done a tremendous job of this. Another is for states to allow midwives and nurse practitioners to play a greater role in offering prenatal and postpartum care, without having to be under a doctor’s supervision. That would be useful. Our prior research shows that midwives, for example, attend births at about one-third of all rural hospitals, and that hospital administrators would like to expand the role midwives play. State and federal programs to support the rural maternity workforce are crucial. There ought to be programs to support training in emergency births in rural communities that lose obstetric care, and to support the costs of providing maternity care in communities where there are willing providers. Correction, Feb. 26. 2018: Because of an error by researchers, this story previously misstated the number of reproductive-age women in rural America. The correct number is 18 million, not 28 million.